Last year, Intel convinced small, little-known Chinese tablet makers to use its chips instead of only ARM’s. Now it wants those companies to churn out PCs, potentially upsetting a market that has been dominated by Taiwanese manufacturers. Many PCs are already manufactured in China, but often times in factories owned by Taiwanese companies, partnering with Intel, that have specialized in the trade for decades. Mainland Chinese companies have been feverishly developing tablets and smartphones, on the other hand, and they are flooding the market with low-cost models. Last year, Intel supplied 46 million tablet chips, and many of those went to these little-known manufacturers and vendors in China. Some of these vendors include Hampoo, Ramos and ChipHD, among many others that tend to build cheap mobile devices. Over time, however, Intel is hopeful that this army of Chinese vendors can join their big brother Lenovo in developing convertible PCs. These companies will want to make a change, given that PCs are generally higher-end products with better profit margins over low-end tablets, said Kirk Skaugen, Intel senior vice president on Thursday. “It’s no fun selling $59 and $99 solutions to the market,” he added. 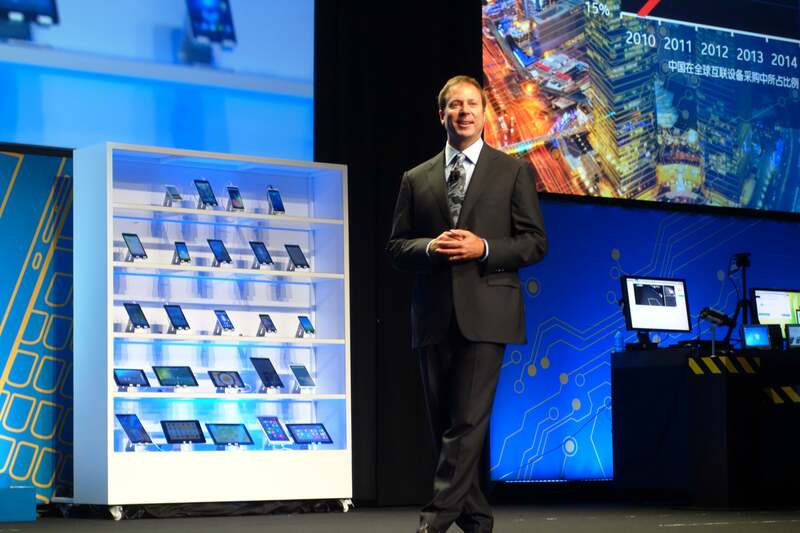 Intel's Kirk Skaugen speaks at IDF Shenzhen. Skaugen talked about the Chinese PC market during the Intel developer forum in Shenzhen, China, a major manufacturing hub where many tablet vendors are based. Going forward, the company wants its Chinese partners to expand into smartphones using Intel-based mobile chips. But in addition, Skaugen said there’s potential for them to develop higher-end tablets that can convert into PCs, which could use Intel’s Core M chip. “As the companies become more sophisticated, we’ll help them move to PCs,” he added. Although more PC development will help Intel sell more chips, it could create also competition over who controls the PC space. Taiwan’s ecosystem has been particularly dominant in building traditional clamshell laptops, said Bryan Ma, an analyst with research firm IDC. But mainland Chinese manufacturers are making progress in developing so-called “two-in-one” laptop/tablet hybrids. PC brands such as Hewlett-Packard could one day source their product design to Chinese manufacturers, which would pose a threat to rivals in Taiwan, Ma added. 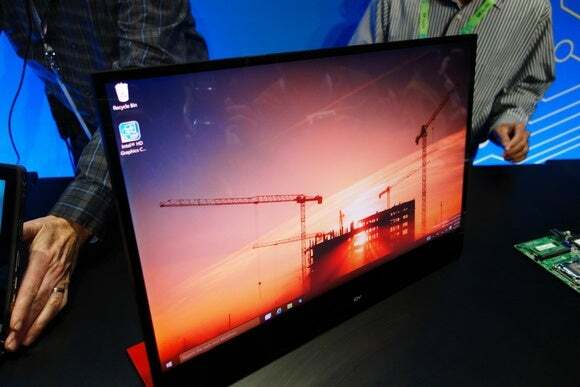 For consumers, however, this could mean more PC models coming out of China.